Praised by clients, colleagues and the legal directories alike, Samantha specialises in complex and high-value financial disputes and in contentious private law children cases. She is a fearless advocate with a keen intellect, yet possesses a warm and approachable manner that puts clients at ease. Samantha is in high demand from clients with complex financial circumstances, both domestic and international. She is known for her meticulous preparation, and her understanding of the corporate world. She speaks French and Spanish, and worked for a top London law firm before joining the bar, giving her a good grounding in corporate law. 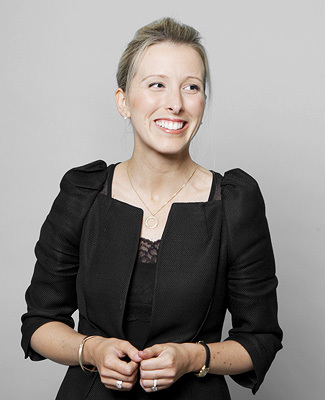 In addition to representing married or formerly married clients in financial disputes, Samantha has considerable expertise in financial cases relating to children (Schedule 1 cases) where the parents may not have been married and claims by unmarried cohabitants under trusts of land legislation. This is a specialist area, and Samantha is widely recognised for her skill and success in representing her clients who find themselves in a very different legal landscape to married couples. She is recognised as an expert in complex and high value cases. Samantha’s financial practice is complemented by her work on cases concerning living and contact arrangements for children, both within this country and internationally. She is often instructed in factually complex and difficult cases in which her charm, down-to-earth professionalism and unwavering support are appreciated by clients involved in litigation over their children’s futures. Samantha is also trained as a collaborative lawyer and believes passionately that for the right cases, out-of-court dispute resolution can bring a speedier and more dignified resolution. Samantha has co-written the relocation chapter in the re-published, Rayden and Jackson on Divorce and Family Matters 2016. Family practitioner handling a variety of private law matters relating to both family finance and children. Her specialism lies in high-value matrimonial disputes, Schedule 1 and leave to remove cases. She is frequently sought out to provide a pre-emptive insight into developing problems before proceedings are issued. Family practitioner handling a variety of private law matters relating to both family finance and children. Her specialism lies in high-value matrimonial disputes, Schedule 1 and leave to remove cases. She is frequently sought out to provide a pre-emptive insight on developing problems before proceedings are issued. Family practitioner handling a variety of private law matters relating to both family finance and children. Her specialism lies in high-value matrimonial disputes, Schedule 1 and leave to remove cases. Regarded by her peers as a rising force in the field. She previously qualified as a solicitor and focuses her practice on matrimonial finance and private children work. Sources are quick to praise her preparation and work ethic. Samantha Woodham – A star of the future with infectious energy and enthusiasm.